Nathaniel Olige (right) witnessed the accident and tried to help. Local Man Rolls Stolen Truck, Flees Scene, LIVINGSTON, October 29, 2012 - According to witnesses, at approximately 4:35 pm on October 29, 2012, a white Ford F-150 driven by Darrell Wayne Sparkman, 35, of Scenic Loop was north-bound on FM-350 North. The witnesses stated that they saw the pickup serve right, leave the road and roll. The witnesses, pulled over, got out of their vehicle and tried to help Sparkman. According to the witnesses, Sparkman wreaked of alcohol and appeared intoxicated. The witnesses stated that Sparkman ran from the scene. One of the witnesses gave chase, but Sparkman got away. The Livingston Volunteer Fire Department was dispatched to the scene along with Trooper Chad Seamans with the Texas Highway Patrol. As things turned out, the truck was stolen and the owner of the truck showed up on the scene. 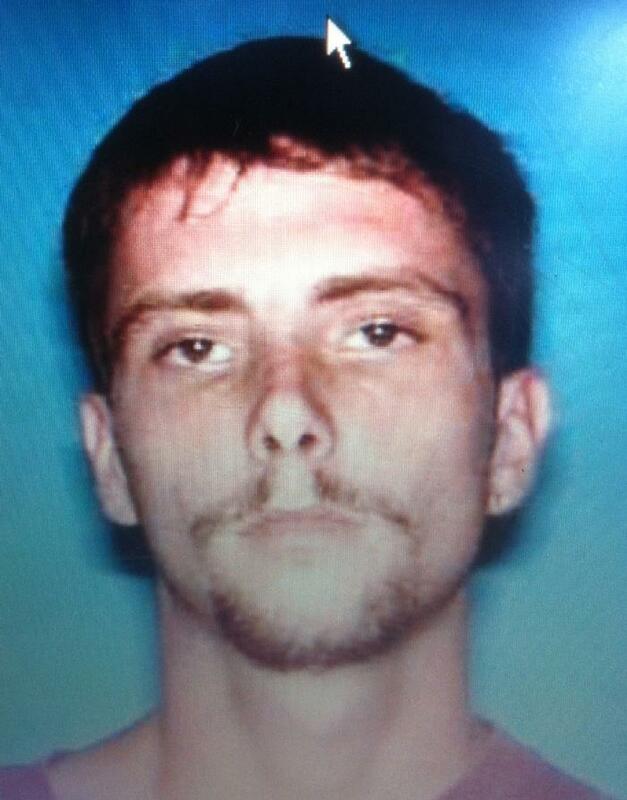 In the meantime, deputies from the Polk County Sheriff's Office were searching for Sparkman. The owner of the truck, Michael Hopson of Livingston, was angered and complained to Trooper Seamans that Sparkman stole his truck. Sparkman managed to evade law enforcement. A rollback wrecker from Ken's Towing recovered the flipped truck and dropped the totaled vehicle off at Hopson's residence. Shortly before 11 pm, trooper Seamans and Deputies from the Polk County Sheriff's Office caught Sparkman at a residence off FM-350 South. Sparkman was placed under arrest and charged with unauthorized use of a motor vehicle, driving with an invalid license, leaving the scene of an accident, and failure to control speed. Darrell Wayne Sparks, 35, of Scenic Loop evaded police, but was caught about 6 hours later and palced under arrest. Michael Hopson (right) showed up and was visibly upset about his stolen (and now crashed) truck. Trooper Chad Seamans is pictured at left. The stolen truck was recovered by Ken's Towing. Hmmmm...What's in the Great One's dog food?? ?